The emergence of automatic rule bender has brought greater convenience to the printing industry. 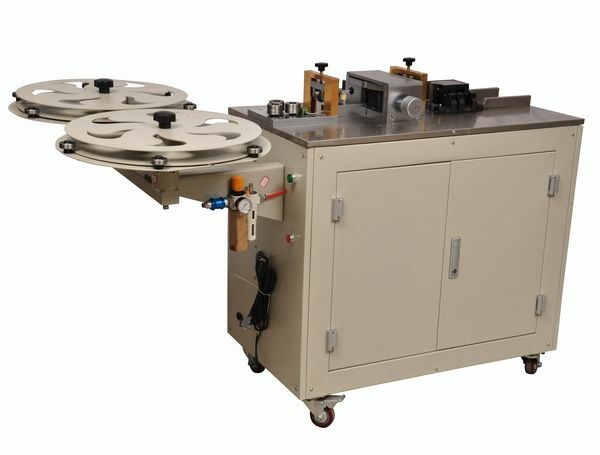 Blade bending machines include manual rule bender and automatic steel rule die bender. Each of these automatic steel rule die benders has its own characteristics. The automatic steel rule die benders have different uses in different fields. They are widely used because they have many functions, reasonable structure, simple operation, and quick installation. Therefore, the fully automatic steel rule die bender can be used vigorously. 1. Automatic rule bender "first bend, after the shear" technology to ensure accurate, no loss. 2. Automatic rule bender’s double cutter plate design, rapid and simple tool change. 3. Automatic rule bender precision screw feeding system to ensure that there is no deviation in feeding. 4. Automatic rule bender advanced control methods to increase the speed of 50%. 5. Automatic rule bender can use the clockwise and counterclockwise roll knife. 1. Use AutoCAD or directly with the automatic steel rule die bender system WD-CAM to draw a cutting board cutting line diagram. 4. The above steps are completing, you can begin to perform the machete work of automatic computer machete machine. After the machete work is completed, the plate can be installed.